It seems like you can’t look at tech news without seeing five new articles about Facebook. From scandals to new platform features, it’s nigh impossible to escape new developments about Mark Zuckerberg’s empire. So let’s dive into the latest goings-on from that site we all love to hate with a condensed look at a few of their biggest headlines from the last couple weeks. As if we needed any more reasons to be suspicious of Facebook after the Cambridge Analytica disaster, The New York Times gave us one when it broke the story on June 5 that Facebook had a secret deal with Chinese phone-maker Huawei, in which Facebook built private software to grant them access to users’ personal data. Why is this a big deal? The U.S. government has never been particularly fond of Huawei, and top intelligence officials see them as a threat to national security. The House Intelligence Committee released a report nearly six years ago that called out Huawei’s business practices for being too opaque and for their connection to China’s communist government. After U.S. institutions were discouraged from using Huawei products, you’d think Facebook would have gotten the hint to cut things off. Keep in mind, too, that none of the data Facebook has been sharing pertains to Chinese citizens, because Facebook is still banned in that country. Facebook was also quick to defend themselves. On June 4, they claimed that they were “not aware of any abuse by these companies,” and said that the deal had originated more than 10 years ago, when proper social media etiquette was still being worked out. After pulling the plug on its controversial “Trending” news section, it was announced that Facebook Watch would be funding a lineup of news programs, including CNN’s “Anderson Cooper Full Circle,” daily updates from Fox News, a series by Alabama’s Advance Local that centers on watchdog journalists, and a daily news show from ABC News, among others. In its efforts to curb the massive amount of fake news (actual fake news) running rampant on the site, Facebook has also given publishers the ability to affix a “breaking news” label to their posts. There will also be more of a focus on local news with the introduction of a section called “Today In,” which is aimed at linking users to published news and official updates from their area. Facebook’s former news section went haywire after its Trending editors were fired and their jobs were left to algorithms, which led to chaos during and after the 2016 presidential election period. Let’s hope for all our sakes that this new news venture pans out far better than its predecessor. 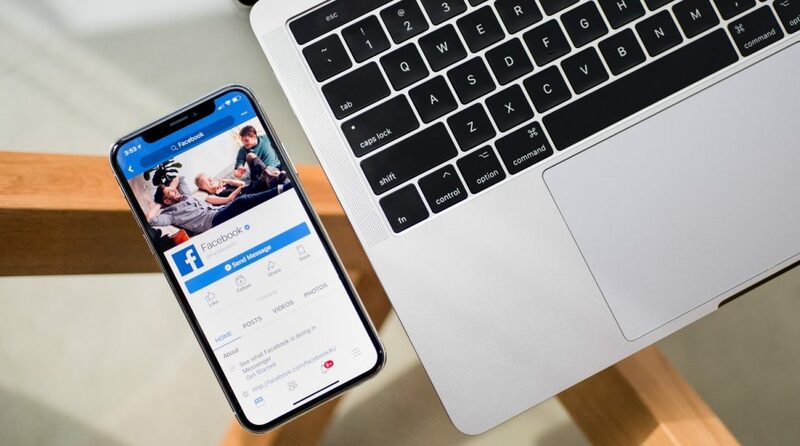 Facebook announced on June 12 that businesses that receive a disproportionate amount of complaints will begin facing the consequences. After conversing with customers who have purchased items from companies who advertise on Facebook, the two most prevalent complaints were found to be misrepresented products and shipping that took longer than promised. A new tool under the “Ads Activity” tab will allow users to review experiences they’ve had with businesses through the site by leaving feedback on advertisements they’ve clicked recently. Advertisers who repeatedly earn poor reviews may be banned from the platform entirely. In a 222-page document, Facebook confirmed that it tracks your mouse movements and whether the window containing their site is in the background or foreground of the screen. This allegedly helps Facebook discern between humans and robots, but that doesn’t make it any less creepy. That document was one part of two (a whopping 354 pages in total) meant to answer questions posed by Congress following their hearing in April. “Memories” is Facebook’s newest feature that no one asked for or wanted. Zuckerberg is an agent of satan. Who benefits from Facebook memories of events that they've spent years suppressing? Beginning July 2, businesses that place ads on Facebook will have to declare to their targeted customers whether or not the contact info (phone numbers and email addresses) they gathered for ad targeting purposes was collected consensually. This is a big win for keeping advertisers accountable. This consent has always been required by the Custom Audiences feature in theory, but not always in practice. Now, however, as a result of GDPR and mistrust among users, customers will be privy to whether a business bothered to obtain their consent, which could leave eit a positive or negative impression in that customer’s mind. While Facebook will push reminders to advertisers about this requirement, critics think the new guidelines still aren’t going far enough and that Facebook is doing the bare minimum to grant themselves immunity in case of scandal.